The campsite is open from the public holidays in the spring through to October, during the main public holidays in the winter and for skiing holidays. The Valle Gesso Campsite is set in a 47,000 sq m area in a scenic and sun-drenched location in the wonderful backdrop of the Maritime Alps. It is just 800 metres from the town of Entracque, which you can also reach by the convenient track for pedestrians and bicycles. With some 200 pitches and various communal areas, the campsite is suitable for tents, caravans and camper vans, including large ones. Those who love open-air holidays, but do not have any camping gear, can stay in our welcoming Chalets. The Valle Gesso Campsite has two sets of toilet facilities, open-air swimming pools, a bar, a small supermarket, a playground, a table tennis and a billiard table, football pitches, volleyball courts and bowling greens, a large BBQ area, internal car parks and free Wi-Fi internet access across the whole campsite. The Valle Gesso Campsite has had an “Ospitalità Italiana” Quality Award since 2008 and is a founding member of the Associazione Ecoturismo in Marittime, which in 2002 brought together tourist operators and public institutions from the protected area of the Park committed to applying the principles of the “European Charter for sustainable tourism”. 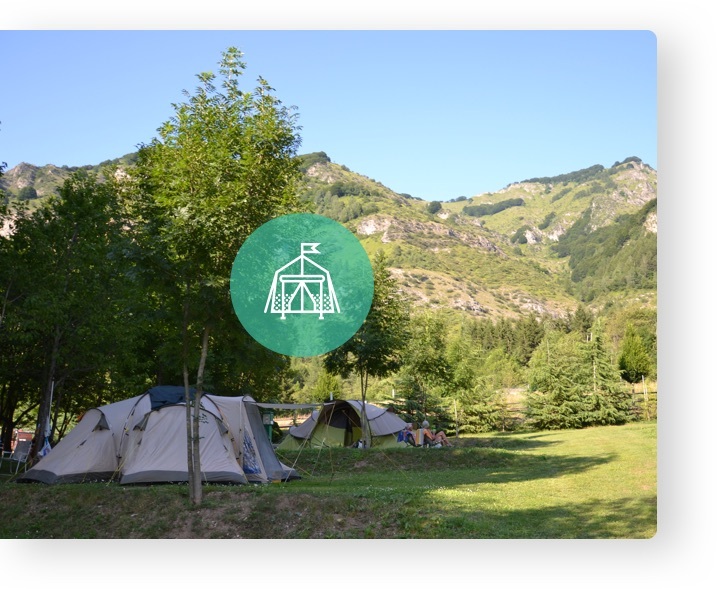 The Valle Gesso Campsite has around 200 pitches on flat grassland with various species of trees. Some areas of the campsite featuring vast grassy meadows or beneath green woodland are reserved for tents only. Other areas are reserved for caravans and camper vans, plus there are some mixed areas. Most of the pitches have a connection to the mains (3 and/or 6 amps), fountains for the supply of drinking water and the relative wastewater drain. The campsite has a scenic view and free Wi-Fi internet access available on the pitches. The Chalets are the ideal solution for those who love nature and open-air holidays, but do not have any camping gear. They are entirely made of wood in the style of Alpine dwellings and blend in with the surrounding Natural Park. 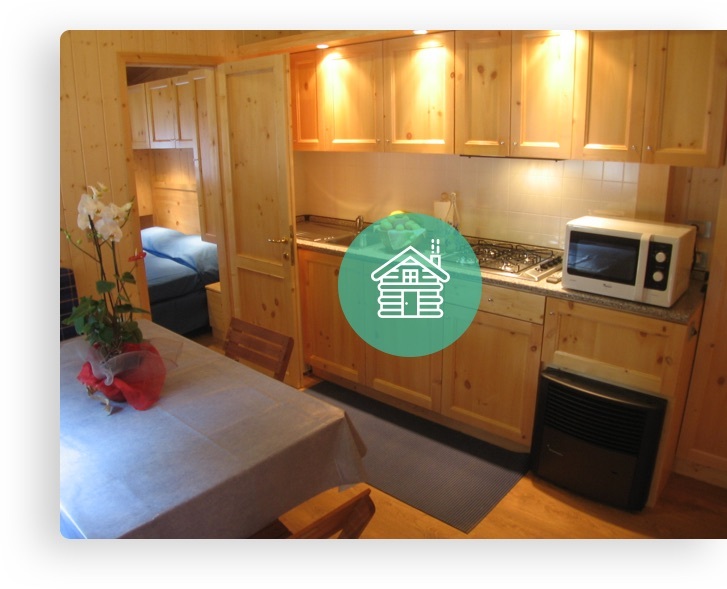 The chalets are provided with all mod-cons and are perfect both in the summer and winter. The chalets are cosy, welcoming and comfortable homes with two bedrooms, a wardrobe, en-suite bathroom with shower, washbasin, WC and bidet, plus a lounge with a kitchenette. On the fully-equipped covered terrace, you can really enjoy contact with nature and share the spirit of a camping holiday. All the chalets have a microwave oven, fridge, an espresso and filter coffee machine, 21” flat-screen TV and free Wi-Fi internet access. The Valle Gesso Campsite is the ideal place for holidays with children and teenagers as they can spend their time outdoors and do what they enjoy most: playing, running, swimming, meeting new friends and learning new games. On the campsite, they enjoy greater freedom as they are in an area with specific boundaries; they have vast open spaces and plenty of activities to keep them entertained: the swimming pool to play and swim in, a football pitch and a volleyball court, table tennis and billiard tables alongside traditional swings for the very young. 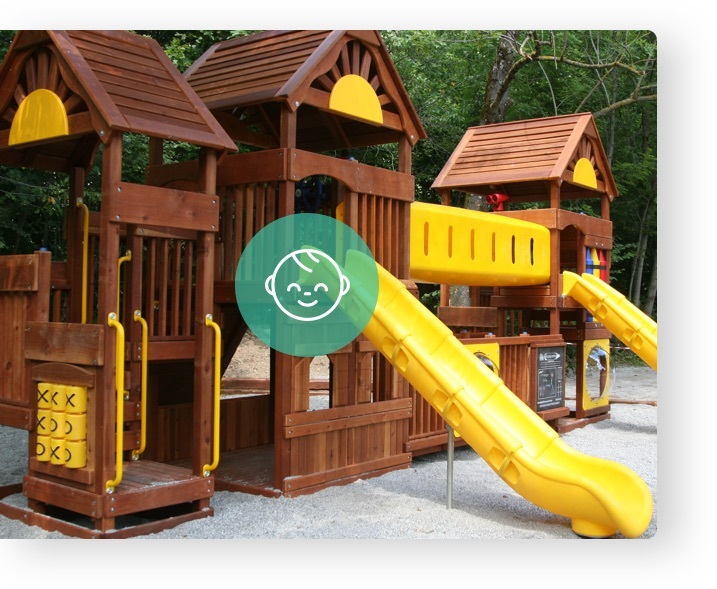 For children from the ages of 5 to 12, there is a new playground made from wood with slides, climbing walls, tunnels and observation towers. Moreover, our bike rental service – provided in partnership with the Natural Park of the Maritime Alps – focuses on children’s needs and has suitable child seats, helmets and bicycles. There will be no lack of football matches and games at the campsite, along with the activities provided by the sports centres nearby, the ‘Uomini e Lupi’ visitor centre, the Park and the town of Entracque. When the weather is cold, the Alpine skiing and Nordic skiing resorts nearby provide courses and lessons for children. “Dive into our mountains”: these words sum up the pleasure of swimming and relaxing in a swimming pool while enjoying a wonderful view of the Lausa, Aiera, Ray and Gèlas mountains, home to the most southern perpetual glacier in the Alps. The swimming pools are designed for everyone to relax and enjoy them. The swimming pool complex is set in an extremely scenic and sun-drenched spot. a round pool of approximately 60 cm in depth for infants and those who are not too familiar with water, but still want to enjoy a nice refreshing swim on a hot summer’s day. For those who enjoy bubbles and relaxation, there is a hydro-massage seat with a mushroom-shaped fountain in the same pool, which is ideal for a neck and shoulder massage. The area by the pool provides guaranteed relaxation with a spacious area with parasols, sun beds, chairs and tables. The swimming pools are open from the first weekend of July to the last weekend of August and, based on the weather and management needs, sometimes also from the end of June to the beginning of September. Entry to the swimming pool is free of charge and reserved for Campsite guests only.